and for Option 2) you will receive all of Option 1 plus, a Print Release form and a gorgeous 16×20 Gallery Wrapped Canvas print. 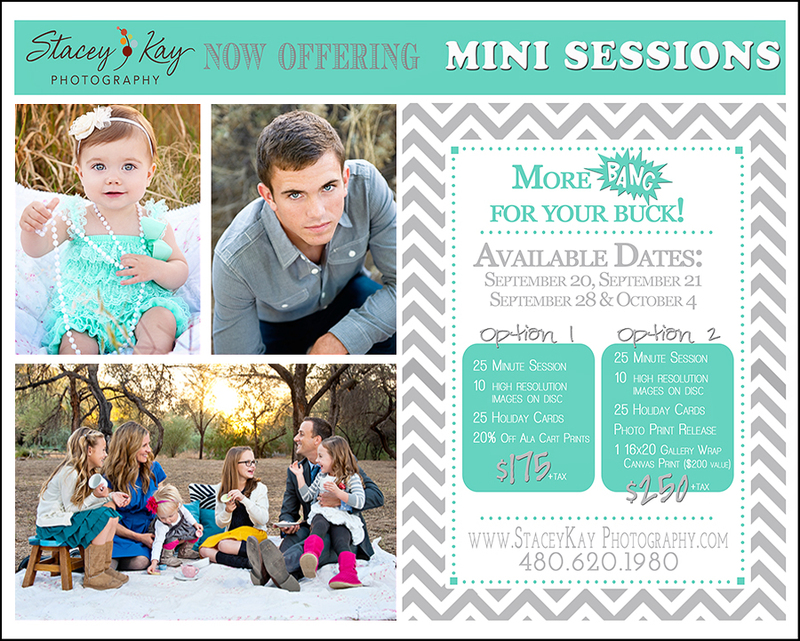 Call quickly because these sessions are going fast! *The fine print: All sessions must be booked on the available dates specified. Print orders need to be placed within 14 days of the receipt of your disc. Sales tax applies to all orders. Fee must be paid at the session with cash or check. All checks must be payable to: Stacey Hemeyer. In case of rain, we will reschedule as soon as possible.